Boza, You're completely right. The more I look for actual demon cards for this build, the more i'm realizing there aren't any. I suppose I was imagining the "feel"/play style of a demon deck without thinking about the specifics and logistical issues. That being said, any thoughts on the previously mentioned combo, but focusing on eldrazi like Abundant Maw, Distended Mindbender, It of the Horrid Swarm, Mockery of Nature, and Decimator of the Provinces? 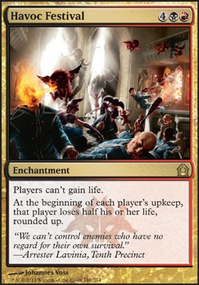 If you Emerged using something like Brood Monitor then sac'ing its 3 scions for extra mana while grave pact is out, you could potentially drop one those eldrazi for "free", kill 3 creatures on entry, plus get their enter the battlefield effect. Decimator of the Provinces could also turn the otherwise "meh" scion producers and even scions into a solid push. This is me being a bit nitpicky, but there was a fairly significant error in your question, that I figured I'd let you know about. Collected Company does not cast the creatures, as you had said in your question. Rather, it puts them directly onto the battlefield, without the creature ever being put on the stack. There's some pretty important distinctions--most notably, on-the-cast triggers (ex. Abundant Maw) will not activate and the creatures can't be countered. You could always add in Varolz, the Scar-Striped, Death's Shadow, Glissa, the Traitor, and Lotleth Troll. They provide excellent value for lower costs. So they would not necessarily be a dead drop later in the game. 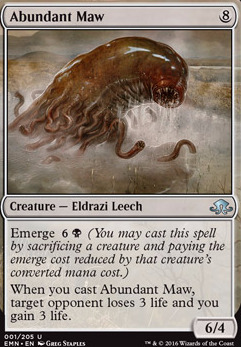 Emerge Eldrazi creatures might be an option as well, Distended Mindbender, Mockery of Nature, and Abundant Maw are a few that I like. 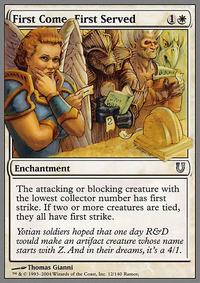 They can essentially be cast for really cheap by removing a creature of less value from the battlefield. Herald of Leshrac is heavy on mana but is some super-secret tech that dunks on midrange and control decks. Grave Titan is also above the curve you were asking for, but it's worth mentioning because of how powerful it is. I agree with others on Abyssal Persecutor. It's probably the best budget beatstick in mono-black in Modern. Desecration Demon isn't really viable in metagames with Lingering Souls. 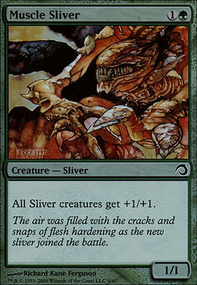 The other thing to think about are the larger infect creatures, which are Phyrexian Crusader, Skithiryx, the Blight Dragon, Phyrexian Juggernaut, and Phyrexian Vatmother. 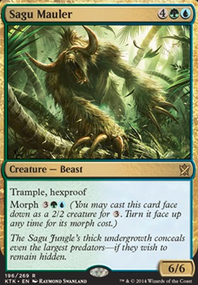 You lose the ability to win via normal damage and life loss, but you gain creatures that are really efficient for their mana cost. Distended Mindbender and Abundant Maw are also reasonable when combined with things like Solemn Simulacrum. 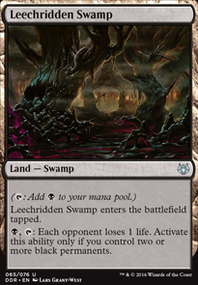 Speaking of Eldrazi, don't forget the plethora of colorless creatures that you can jam into your mono-black deck. That includes stuff like Wurmcoil Engine, Duplicant, Grid Monitor, Silent Arbiter, Scuttling Doom Engine, and Steel Hellkite. Lastly, there's Demigod of Revenge. You can combine them with Smallpox and other such discard outlets for maximum value. Nothing like dumping 15 power into play on turn 5! Emerge creatures are really the way to go with sin prodder. High CMC, but you're always casting them for less. So like Abundant Maw, Distended Mindbender, It of the Horrid Swarm. Then Foul Emissary, Pilgrim's Eye and Primal Druid as targets. I really like the look of your deck. Ive been thinking about playing something rampy like this for a while. Beastcaller Savant might be a consideration. Dropping Distended Mindbender and Abundant Maw with haste could be great fun. Some other considerations might be Reality Smasher or World Breaker They dont really fit the theme of your deck but if you're doing something Rampy theyre amazing pay offs. You've made me think about emerge a whole new way though. Nice deck man. In: Charcoal Diamond, Dauthi Embrace, Sol Ring, Hell's Caretaker, Ascendant Evincar, Distended Mindbender, Abundant Maw, Artisan of Kozilek, and Thornbite Staff. 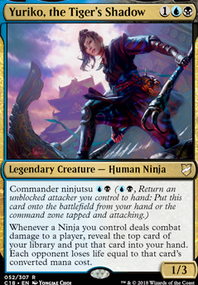 Out: Soratami Cloud Chariot, Western Paladin, Eastern Paladin, Distorting Lens, Delraich, Wall of Shadows, Infernal Spawn of Evil, Sorceress Queen, and Commander Greven il-Vec. Now, as I acquire some of the other cards, I'll need to decide what stays and what goes. What should I switch out for Buried Alive at this point? I do have a Jet Medallion, but do I really need it? Hopefully I'll get some play testing done with it this weekend and see how it goes.